Do you find a bank intimidating, and do you find it difficult to understand the jargon like CDs, APRs, ATMs, FDIC, NCUA or APY, and do you consider navigating a transaction a nightmare? Perhaps, it is high time you familiarized yourself with different aspects of regular banking and internet banking as this will open the doors to various opportunities for managing your savings in a better way. Here we give you a guided tour explaining the basics of simple investment options that will save and earn money for you. If you are great at surfing the web, then online banking websites offer attractive opportunities to stash your savings. In online banking your communication skills will not be tested. You simply have to navigate through drop down menus. The biggest advantage of online banking is that you get to research and compare the interest rates of various banks at one glance, and you can quickly decide where your money will earn the maximum. There are options beyond savings accounts like a money market account, which is nothing but a savings account offering a higher yield, with a minimum balance requirement and limited withdrawals. Even the ordinary checking account is going high tech with many banks offering more attractive interest rates pegged to higher minimum balances which may be beyond ordinary folks. But a diligent search will help you zero in on good options that will yield a decent rate of return. For any savings scheme its APY or annual percentage yield is what makes money for you every year. This is a standardized calculation that is uniform for every bank and will give you a clear idea which bank is offering the best deal. This is different from the APR or annual percentage rate that will vary between banks. For example, the interest may be calculated and capitalized quarterly, half yearly or yearly by different banks resulting in different APRs. So, to avoid confusion it is better to check the APYs instead. An attractive low risk saving scheme is the Certificate of deposit or CD. CDs are simply time deposits that lock your funds for fixed periods like a six month CD or a sixty month CD, with varying interest rates. The only drawback is that these savings are not as liquid as an ordinary savings or checking accounts, meaning that you will not be able to withdraw your money before the expiry of the period of the CD. If you withdraw cash before the deposit’s maturity, you could lose a portion of the interest as penalty. Remember that each savings option is designed to fulfill different needs. Savings and checking accounts are meant for short term savings and for stashing funds that are likely to be withdrawn in emergencies or for fueling domestic expenses on a regular basis. The money market accounts and CDs enable you to save money over longer durations that you will be requiring for expenses like buying a home, purchasing a car or meeting the education expenses of your children. Such savings will attract higher interest yields so that they can grow significantly over time to meet future needs. 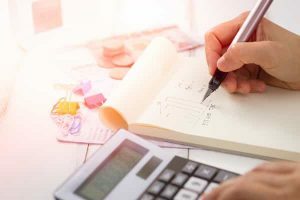 Personal finance experts say that a family must save enough funds equivalent to six months’ average household expenses to be in a better position to survive tougher economic conditions. Though such savings are not beyond the scope of middle and lower income sections of society, what do people do when they face a sudden cash demand that goes beyond their level of savings? In such instances the auto collateral loan is a wonderful remedy. The car equity loan can be applied even with the burden of a poor repayment record, if you can show a steady income. The pawn car title loan can help you avail funds to the extent of 60% of your vehicle’s resale value, and the only collateral you need to offer is your car title papers that ought to be in your single name. An interest rate lower than 25% APR and comfortable repayment options are other plus point that distinguishe the auto equity loan from high priced competing payday loans.